At the Centeno-Schultz Clinic we acknowledge that forearm pain can be disabling. Intersection syndrome is a painful condition on the radial (thumb) side of the forearm when inflammation occurs at the intersection of the first and second extensor tendons. The first compartment is compromised of EPB (extensor pollicis brevis) and APL (abductor pollicis longus) whereas the second compartment includes ECRB and ECRL (extensor carpi radialis brevis and longus). Presentation: pain approximately 4 cm above the back of the wrist joint where the first and second compartment tendons cross. Tendons are surrounded by a slippery sac called a tenosynovium which allows the tendons to glide. 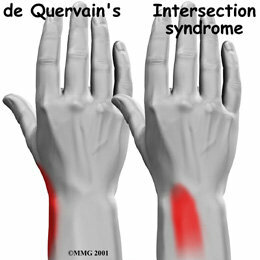 Inflammation of the tenosynovium (tenosynovitis) impairs the tendons ability to glide and results in pain. Etiology can be traumatic or due to repetitive wrist flexion and extension commonly seen in weightlifters ad rowers. Other causes of radial forearm pain include de Quervain tenosynovitis, thumb CMC arthritis, radial sensory nerve irritation and extensor pollicis longus (EPL) tendinitis. In cases unresponsive to conservative therapy a guided injection under ultrasound is indicated. At the Centeno-Schultz Clinic MSK US is utilized in joint, ligament and tendon injections. Accuracy and visualization is critical for successful clinical results. 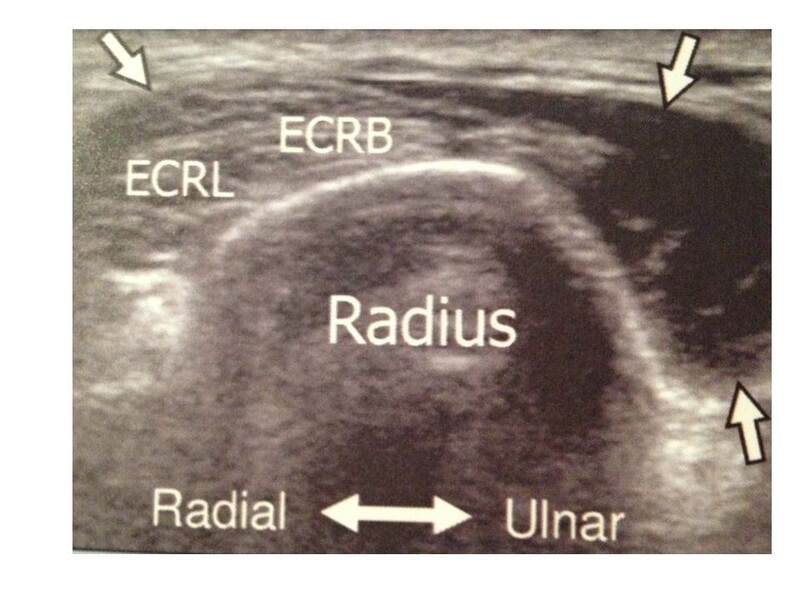 Below is an ultrasound image of the first and second compartment tendons crossing. The white arrows identify the tendons of compartment 1 superficially crossing those of compartment 2. 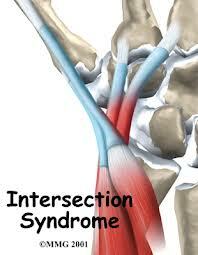 This is the site of inflammation in intersection syndrome that results in radial side forearm pain. At the Centeno-Schultz Clinic we acknowledge that sacroiliac joint can be a cause of lower back and buttock pain. 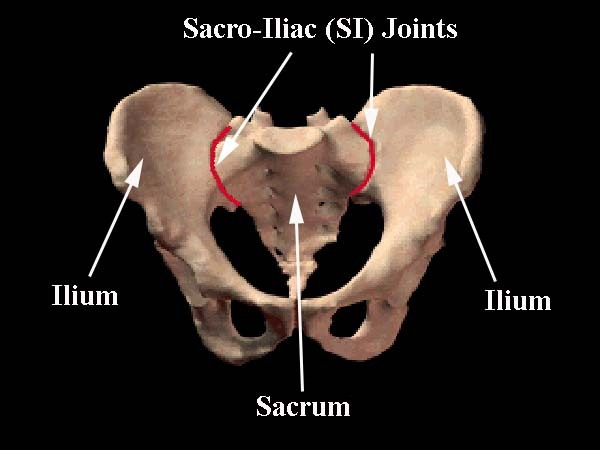 The sacroiliac joint (SIJ) is the joint between the sacrum and the ilium of the pelvis. It is a synovial joint characterized by a capsule surrounding the articulating surfaces and synovial fluid. The stability of the SI joint is maintained through an extensive number of ligaments. Stability is critical as discussed in Ortho 2.0. 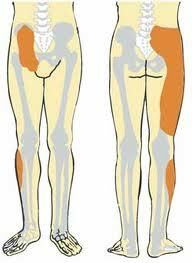 The function of the SIJ is to dissipate loads of the torso through the pelvis to the lower extremities. Slipman demonstrated pain in various areas including lower back (72%), buttock (94%) and lower leg (50%). Causes of SI joint dysfunction include mechanical dysfunction, inflammation, lumbar fusion, trauma, degeneration and pregnancy. A comprehensive study at Hopkins demonstrated the incidence of sacroiliac joint pain is between 15% to 25% in patients with axial low back pain. Diagnosis can be made by provocative physical examination manuevers which include Gaenslen and FABER test. The gold standard is injecting SIJ under intermittent x-ray with local anesthetic and steroid with the patient reporting signficant reduction in pain. Treatment options include physical therapy, IMS, prolotherapy, PRP and autologous stem cells. At the Centeno-Schultz Clinic stability is a central theme. The importance of stability is discussed in Ortho 2.0. The integrity of a joint is directly related to its stability. Joint instability predisposes to additional injury and acceleration of the degenerative process. Stability is the foundation or structural support of a joint. 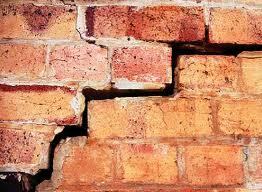 A crumbling or weak foundation can not support a tall structure. Instability can not support an active, healthy joint. Inflammatory: occurs within the first week characterized by increased blood flow and swelling. Fibroblastic: 1-6 weeks with fbroblasts creating new collagen and repairing injured tissue. Maturation: after 6 weeks characterized by stronger, more organized tissue. Supra and interspinous ligaments in lumbar spine. Tendinosis & tendonitis of rotator cuff. ACL laxity or small tears. Autologous stem cell therapy has been successfully used in full thickness tears in the ACL. Stability is critical and prolotherapy is an effective therapy to stabilize a joint. At the Centeno-Schultz Clinic we acknowledge that chronic pain can be devastating. It impacts all facets of life and can lead to depression, inactivity and loss of connection. Treatment options for chronic pain are extensive. At the Centeno-Schultz Clinic we believe that identification of the pain generator is critical in the successful treatment of pain. 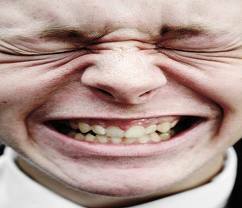 The pain generator is that tissue or structure that is responsible for the patient’s pain. A thorough history and physical examination is starting point. Diagnostic tests may include x-rays, MRI, MSK ultrasound, facet injections or selective nerve root blocks. Once the source of the pain is identified a treatment plan can be established. As discussed in Ortho 2.0 there are four critical elements : stability, articulation, neurologic and alignment. Treatment options at the Centeno-Schultz Clinic include IMS, prolotherapy, PRP and autologous stem cell therapy. Unfortunately narcotics have been used extensively in the treatment of chronic pain. Narcotics do not identify the source of the pain but rather mask it. 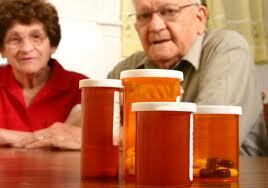 Complications include addiction and death as discussed in medpage Today. In 1998 Purdue Pharma’s marketing of OxyContin included a video in which 7 patients provided their glowing testimony on the benefits of oxycontin. 10 years later two of the seven patients died as active opioid abusers. A third became addicted, suffered greatly, and quit after realizing she was headed for an overdose. Bottom Line: Narcotics are not the answer. Identify the pain generator. At the Centeno-Schultz Clinic we acknowledge that ankle pain can be disabling. Ankle pain can arise from multiple sources which include ankle osteoarthritis, ligament laxity, tendon tears and degenerative lumbar disorders. Stem cell therapy is an alternative to ankle surgery. Surgery is associated with risks and can often times accelerate the degeneration. JW is an active nurse who sustained an ankle injury while participating in Cross-Fit. Her pain was constant with weight-bearing, non progressive in nature, localized on the lateral aspect of the ankle with radiations into the little toe. Physical examination was signficant for tenderness in the lateral ankle, laxity and multiple trigger points in calf and lumbar spine. MRI was signficant for a partial tear in the peroneus brevus tendon and injury to the anterior talo-fibular ligament. She declined surgical recommendations and opted to prolotherapy which is the injection of an irritant intended to initiate an inflammatory response and strengthen ligaments. At the Centeno=Schultz Clinic prolotherapy is performed utilizing MSK ultrasound guidance which ensures accurate needle placement. 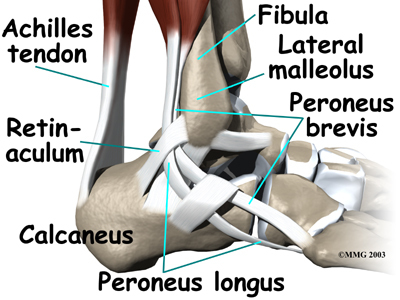 Treatment was targeted at both the peroneus tendon but also the other critical ankle ligaments. Stability is a central element as discussed in Ortho 2.o. Adjunct therapies included IMS, flexion/extension examination of the lumbar spine, deep water immersion exercises and low carbohydrate diet. Carbohydrate restriction and proper nutrition has been linked with improved stem cell numbers and function. After three prolotherapies, IMS treatment and 15 lb loss JW reports a 90% improvement and has resumed her running and cycling.